Attitude Check Theater is not your great Aunt’s theater company. 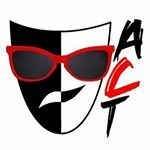 Attitude Check Theatre Company is not your great Aunt’s theater company. Specifically, because it was founded by a group of people who are not your great aunt, but mostly because we won’t be holding auditions for "Grease" anytime soon. I suppose we are more like that weird cousin that only shows up to the family events that are mandatory like funerals, usually drunk, and praying for the moment that we can go home and be alone with our pets. Or, think of us as your friendly neighborhood theater kids, except now we're old and we want you to perform theater on our lawn. Either way, Attitude Check Theater Company works toward a common goal of creating an inclusive environment with an aim to preform for the love of theater. No cliques, no politics, just a passion for arts and performance. So, keep an eye out for our audition notices and performance dates. Bust out your corsets and fishnets and join us for one of our monthly "Rocky Horror Picture Show" performances. We hope to see you soon, crippling social anxiety aside! Comedies don’t get much darker than this. Set in an interrogation room in an unnamed totalitarian state, Katurian, a writer of Grimm-like fairy tales that are NOT suitable for children, is being interrogated for a series of grisly child murders. Next door his mentally disabled brother Michal waits while two detectives brutally question Katurian about his life, his work, and the point of art in general. Drawing on inspiration from The Brother’s Grimm, Kafka, and Antonio Artaud, horror-comedy writer Martin McDonagh poses unanswerable questions about the power of stories, whether a life of horror is worth living, and the line between truth and fiction.